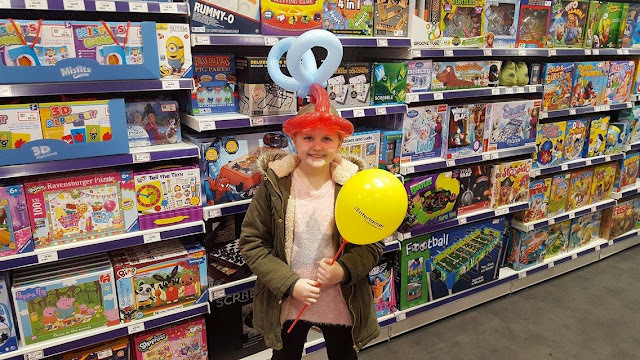 On the 25th February, we were invited along to a fun packed day to celebrate the grand reopening of The Entertainer, situated on the Coliseum Shopping Park in Ellesmere Port. The store has undergone a full refurbishment, and staff were ready to welcome customers back to the new look store, along with a host of very special guests including Kai and Lloyd from Lego Ninjago, Lego Batman, and the amazing Optimus Prime. There were also balloons and goodies galore for children and their families who had made their way to the store to celebrate the reopening. It was great to be able to attend and support a local event, and the day began with a charity trolley dash, where just under £500 worth of toys were collected. This was soon followed by the arrival of the fantastic Optimus Prime truck, which quickly drew plenty of attention to the store. 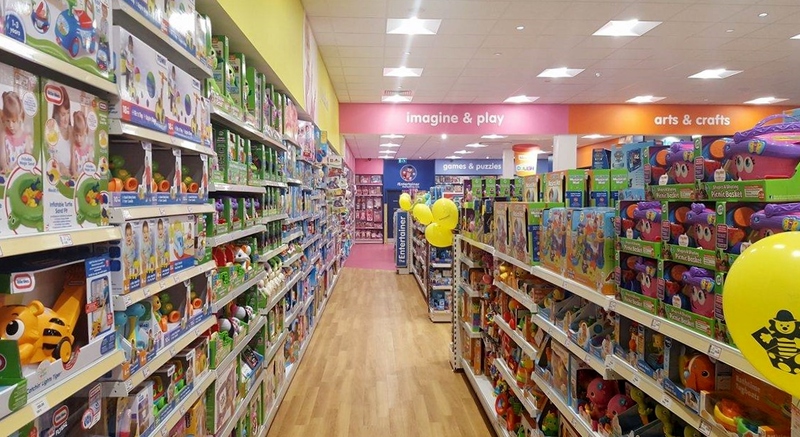 The store itself looked fantastic, with toys all neatly displayed and placed within colour coded categories. 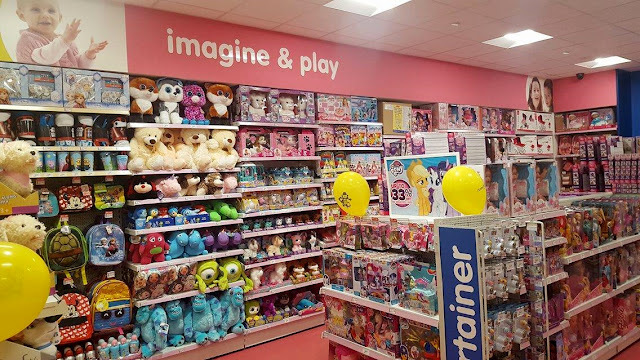 The signs were placed high in the store, so it was easy to find the area that you were looking for, and there was an absolutely huge range of toys on show. In addition to regular priced toys, there was also a great selection of special offers located around the store, and I was pleased to find that these were Nationwide special deals, and not just one off prices for opening day. As the morning progressed, more and more customers were welcomed through the doors, and it wasn't long before some very special guests made their way out into the crowd to meet families and pose for some photographs. Orderly queues were formed, and the staff were great in making sure that everyone had the opportunity to pose for a photo with their favourite characters. 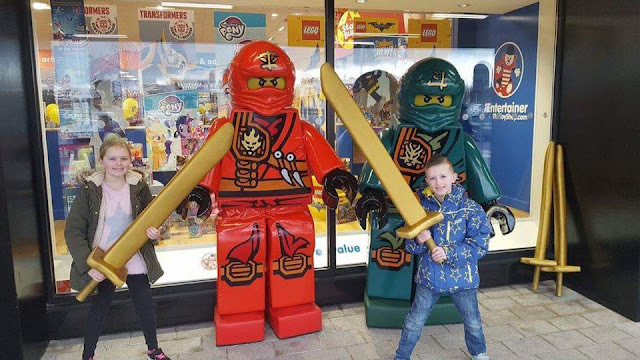 The first guests my children were able to meet were Kai and Lloyd from Lego Ninjago! 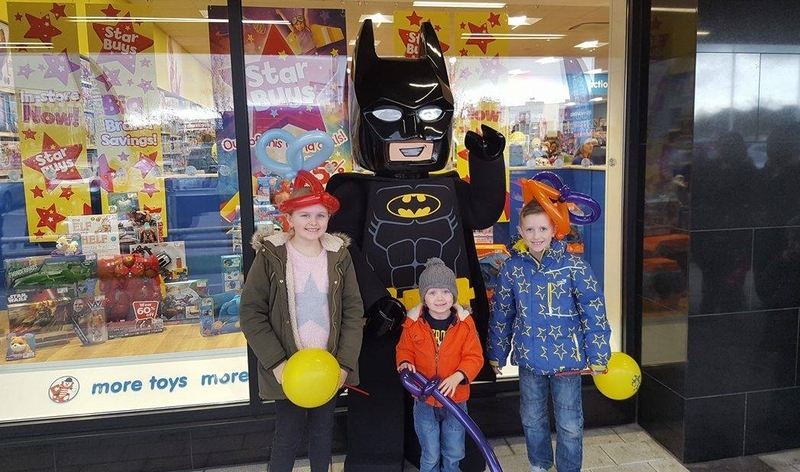 Once the waiting crowd had all taken photos, it wasn't long before we were joined by another Lego favourite in the form of Lego Batman. 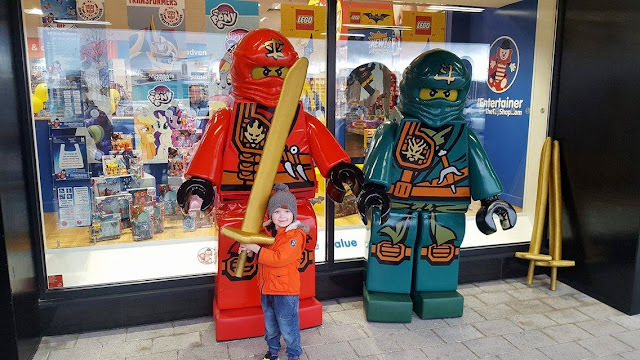 My youngest child Riley is a huge fan of Lego Batman at the moment, as you may have seen from our recent Legoland Discovery Centre review, and so to have the opportunity to meet him again was fantastic, and Riley was of course delighted! Queues for the character meet and greets moved quickly, however there was always something else going on to keep children entertained. 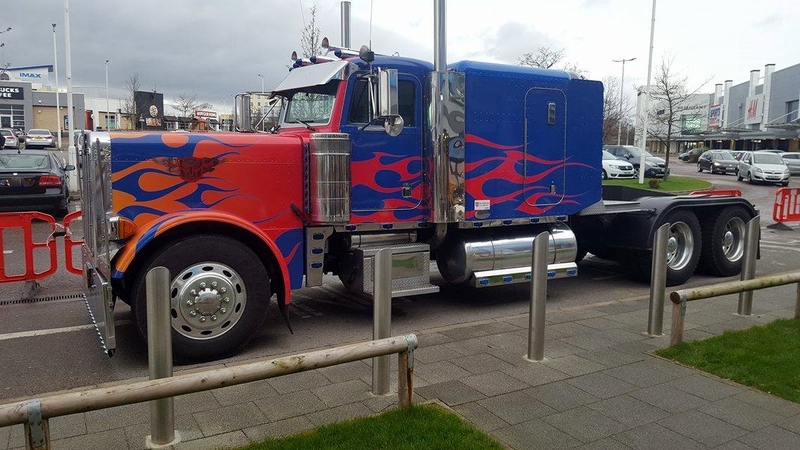 A lovely gentleman was busy making all sorts of fabulous balloon creations for children, and guests were also invited to take a closer look at the amazing Optimus Prime vehicle. 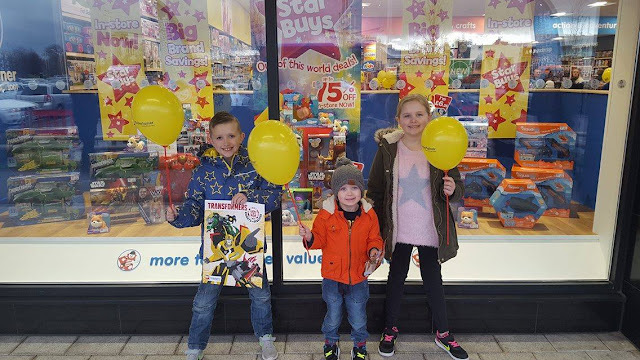 It was also great to see so many children and their families making the most of the great offers available in store, and we saw many happy faces leaving the store with their new toys! 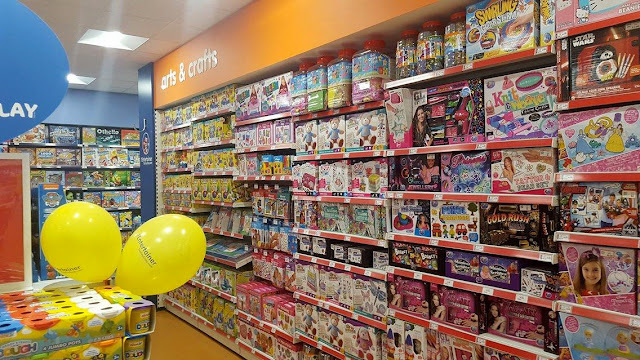 My daughter really loved the Art and Craft section and found that there was a fantastic choice of products available, including some at pocket money prices. She also saw some lovely gift ideas for her friends for when it is their birthdays, and was also very impressed with the wide range of character toys available for Riley's age group such as Peppa Pig, Ben & Holly and Jake and the Neverland Pirates. We managed to find a Jake and the Neverland Pirates Skully Soaring Ship Playset that had been reduced from £20 to only £6.66, which was a great bargain! Riley also enjoyed being able to see the new range of PJ Masks toys, which is one of his favourite programmes on television at the moment. 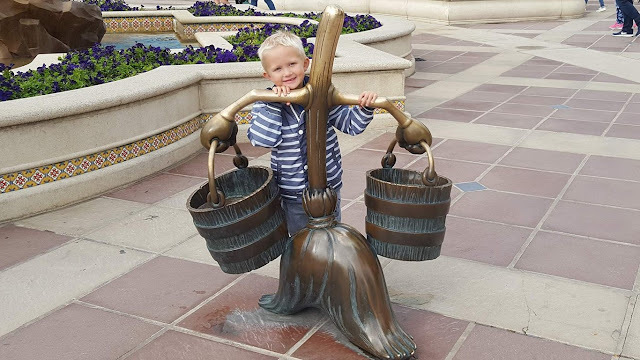 Once my children had each picked a treat, we made our way back outside and met even more characters. 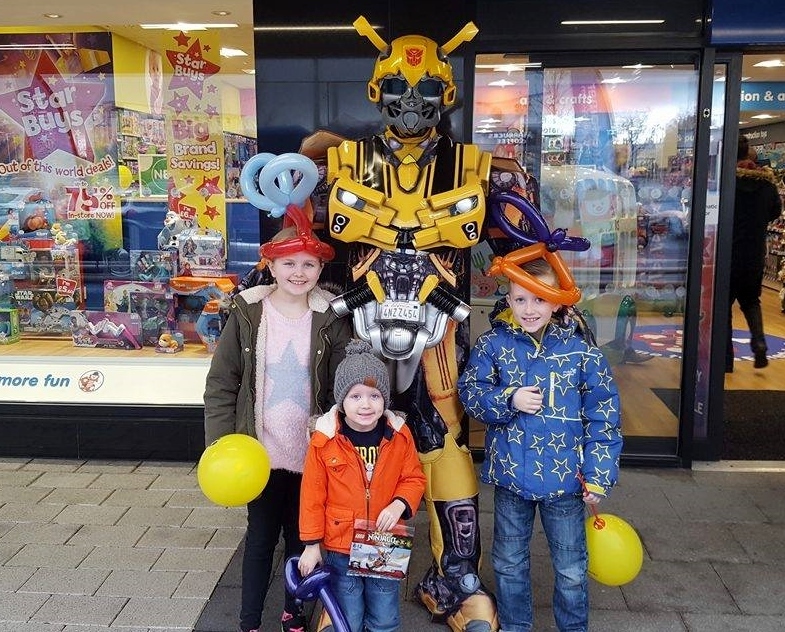 This time it was the turn of Bumblebee from Transformers, another popular choice with my children. 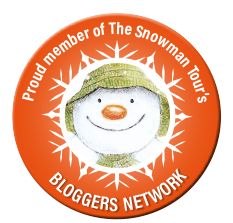 We finished the morning with one last browse around the store. My daughter was already busy compiling her birthday gift list in her head as she wandered from aisle to aisle, and it wasn't long before the boys were doing the same. 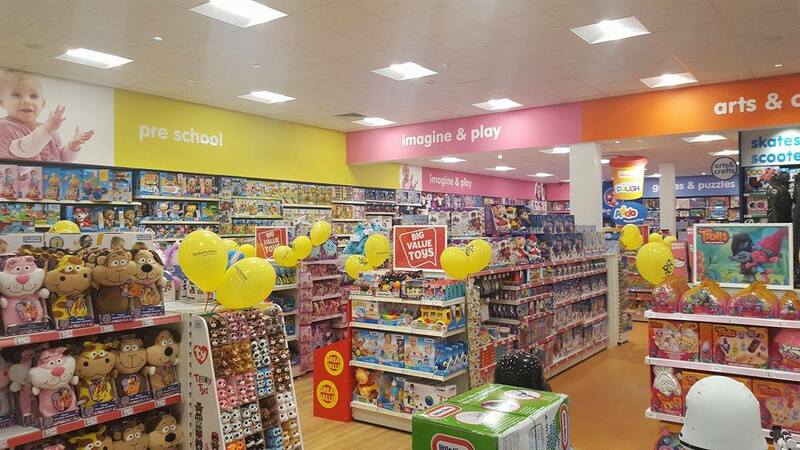 We left the store very impressed with both the event and the refurbishment, and we will definitely be returning again in the future to purchase some more toys. Disclaimer: We were invited along to the reopening of The Entertainer in Ellesmere Port as guests to experience the event day and view the refurbishment that had taken place. 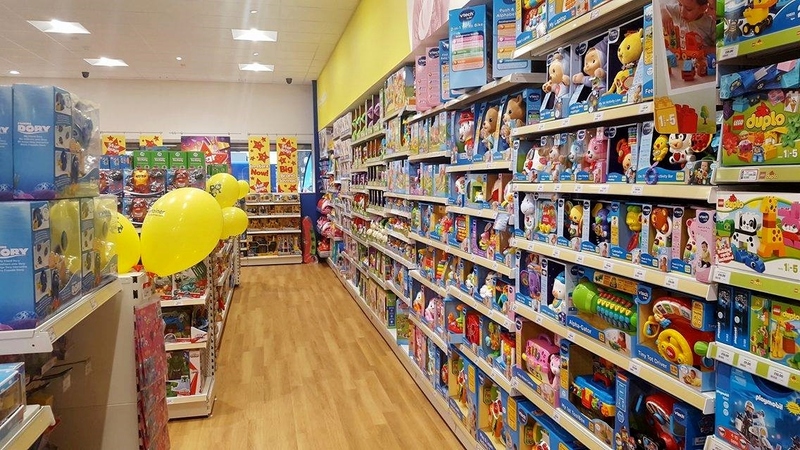 This article contains affiliate links, which means that I may receive a small commission should you choose to purchase something online from The Entertainer at TheToyShop.com. These small commissions allow me to maintain this site and are greatly appreciated.